I have been looking forward to reading Mary Laura Philpott’s memoir I Miss You When I Blink. 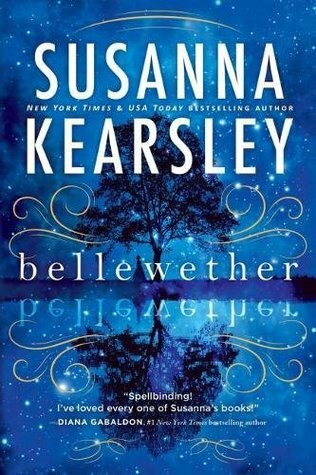 Needless to say, I nearly did a backflip (ok, it was a mental backflip – I’m the girl who broke her foot doing laundry, after all) when Netgalley provided an advance copy for review purposes. As always, all opinions and typos are my own. 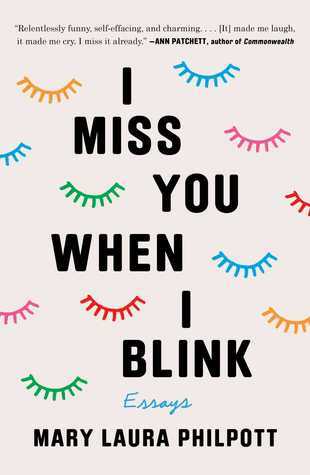 Mary Laura Philpott’s memoir I Miss You When I Blink is a collection of essays that are honest, heartfelt, relatable and frequently laugh-out-loud funny. Sitting down with these stories is like sitting down with a friend who gets you. She’s going to tell you what you need to hear with a mix of wisdom, wit, and “gettin’ real”, as we call it in my house. Her writing feels authentic. Or maybe I just related too much to it as I too am a middle-class white woman who is a Type-A control freak, living comfortably and in the middle of an existential crisis myself. She talks about perfectionism, moving and transitions (and how plans rarely work as intended). There are essays on work and parenting (and finding a balance with both). She also talks about identity and the loss of it as we move through motherhood. However, I think the main message will speak to many – that we all face our struggles in life, but that the unhappiness or pain we feel is valid, even if others are struggling more or in greater pain. I Miss You When I Blink was a book a I nibbled on bits, a few chapters at a time. It was one I likely could have gobbled up all at once, but I found a few chapters in that I needed to digest it slowly. With smart, conversational prose, you will snort laugh, you may eye-roll, and you will think “I could have written this part”. She covers a lot of areas: feeling stuck, the need for approval, moving to a new country (and how expectations don’t always meet reality), getting sucked into volunteering and all the weirdness that goes with it. In This is Not My Cat, she escapes to Nashville to housesit/catsit, and in the silence that she allows herself, she refinds herself. If you’ve ever felt so lost and been so overwhelmed that you wanted to run away, this reads like the mature, responsible way to do it. More satisfyingly, it seems to work for her. “I don’t want a chocolate chip cookie. I think I want some other kind of cookie.” I know some people have no cookies. Unfortunately, having a fine life doesn’t exempt anyone from existential angst. I’m going to use that word again – relatable – because Philpott has written a book that will speak to many women. Whether its the struggle of finding friends or just holding on to a social life as we all move through the stages motherhood, to figuring out just who we are as women beyond the title of “Mom” – or whatever label we gave ourselves at 21 as a fresh-faced graduate – I Miss You When You Blink is a book that will make you feel not quite so alone in the place you are – be it in your head or in your life.